A place where school counselors can share exciting ideas and resources, encourage each other during challenges and celebrate together our successes! 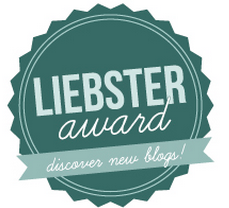 I was very excited to see that Cheryl Lassey from Creative Elementary School Counseling nominated my blog for a Liebster award! I still consider myself a newbie blogger and have such few followers as it is that I was totally surprised and excited by the nomination. Thanks Cheryl! It’s awesome to know that my blog has helped me network with other counselors even though it's taken me a couple of weeks to get this going (back to school- busy, busy!). So, the Liebster award seems to be like chain letter/ email forward…which I’m usually not so into, but it is just cool to have my blog recognized by another counselor that I am eager to participate! 1. Link back to the blog that nominated you. 2. Nominate 5-11 blogs with fewer than 200 followers. 3. Answer the questions posted for you by your nominator. 4. Share 11 random facts about yourself. 5. Create 11 questions for your nominees. 6. Contact your nominees and let them know you nominated them. 1. What are your favorite blogs? I love connecting with others and really believe that we are better educators and people when we can share ideas, struggles and celebrations with each other. I wanted to find a place to share ideas and resources as well as challenges that we all face in this exciting, changing and often difficult role. 3. What advice do you have for others who are just starting out with their own blog? Go for it! I think I (still) tend to let myself get caught up in “is this even worth posting?” Of course it is! Someone out there may need to hear exactly what you’re writing. We all do so many different things each day and being able to sort through and find others with new ideas or fresh perspectives on the role of the counselor can be re-energizing and just plain awesome. 4. Why did you decide to work as a school counselor? I love being in the school (my mom and sister are both teachers) but didn't necessarily want to be in only one classroom or focusing on academics. I found my niche in school counseling and couldn't be happier! It is awesome to be able to advocate for children and teach them critical life skills that too many are not learning at home. 5. What are your favorite things to do outside of school? My husband and I love Clemson football, and I’m pretty pumped for the season to start! I also enjoy reading, mindlessly watching tv shows on Netflix, and getting outside on pretty days. 6. What is the best part of your job? Being with the kids!! I love seeing them, helping them and teaching them. They make it all worthwhile! 7. How many years have you been working in a school? I was blessed that my school had an opening in January 2012 after graduating with my Masters in Dec. 2011. I have been at my school for 1 ½ years and I feel as if I am exactly where I’m called to be! 8. If you could only have 5 books in your office which ones would you choose? Great question…I don’t know where to begin! In no particular order: The Invisible String (I love this with kids of all ages even though it is geared towards younger students dealing with separation or grief), Have You Filled A Bucket Today (always a good one for talking about friendship and bullying), How Do I Stand in Your Shoes (a great resource for teaching empathy! ), When Someone Very Special Dies (I needed this a lot last year for my kiddos), and 7 Habits of Happy Kids (my curriculum is based off of these again this year although I use much more than just the stories in the book.) I get most ideas and classroom/group lesson resources offline so I'd stick with some of the stories I think. 9. If you could live anywhere in the world where would you live? I am so happy living in Greenville, SC. I have a great job and am close to family, but if I could visit or live somewhere else for a short time, I think I’d like to go back to Africa with my hubby and then maybe somewhere in Europe just for a fun and exciting change of pace. 10. What is your favorite memory of a teacher from childhood? Mrs. Kroko, my 3rd grade teacher, made me want to be a teacher when I grew up! She was so kind and helpful. I was a "hairbow" kind of student (we use this terminology on my PBIS team for those students who are the teacher's pets) and enjoyed feeling like her little assistant. 11. What is your #1 go to resource at school? I love getting ideas from Pinterest and the amazing school counseling blogs out there, but when it comes to this question, it is not the “what” but the “who” that comes to mind. I am very blessed to have an amazing internship supervisor turned counselor friend and mentor that I can call any time with practical questions or for supervision and consultation. I hope everyone has that person that they can go to! My school also has a social worker that has been here for 10 years so it is always helpful to bring issues up with him too. What would you like other bloggers to know about you? Why did you decide to work as a school counselor? What are your favorite things to do outside of school? How many years have you been working in a school? If you could only have 5 books in your office which ones would you choose? If you could live any where in the world where would you live? What is your #1 go to resource at school? Changing Blogs! Come Join Me!